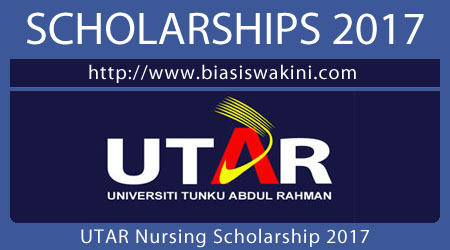 Suitably qualified candidates identified by the UTAR Hospital will be offered scholarships 2017 to study a full-time degree programme in UTAR Sungai Long or a full-time diploma programme in a local nursing institution. After successfully completing the programme of study, he/she will serve the UTAR Hospital. The scholarships will cover total programme fees, hostel accommodation, monthly allowance, uniform and shoes, and medical and insurance. UTAR will provide sponsorships to students with interest in pursuing a full-time diploma programme in a local nursing institution selected by the Hospital management. Students will be awarded a Diploma in Nursing upon completion of the programme and will be officially registered with the Malaysian Nursing Board as Registered Nurse (SRN).